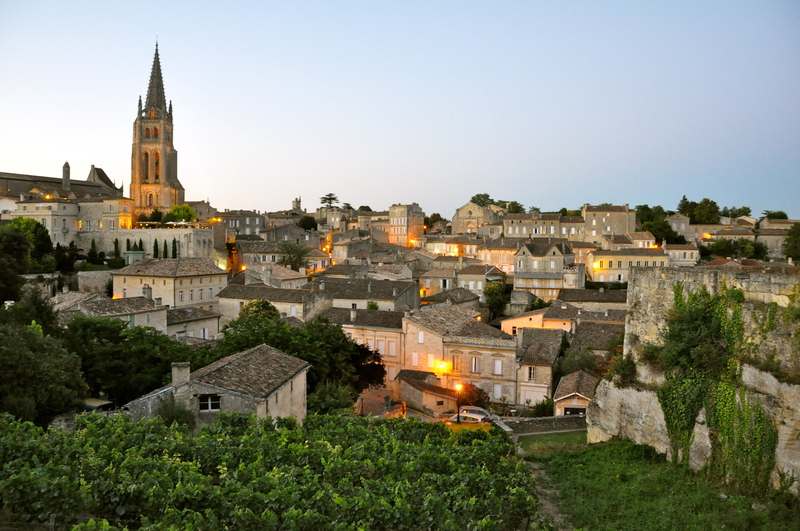 Our first stop on our Bordeaux regional wine tour was the little town of Saint Émilion, where we were staying. 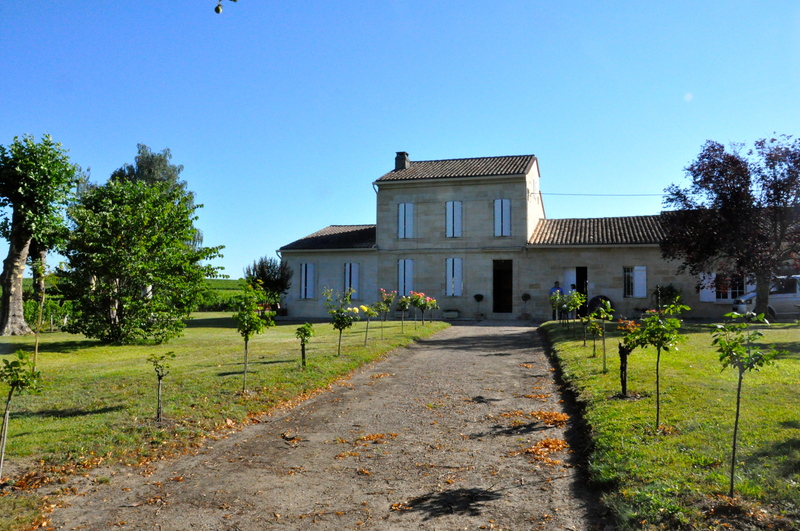 We had wanted a blend of these small family-owned wineries in Saint-Émilion, along with the larger châteaus in Médoc. 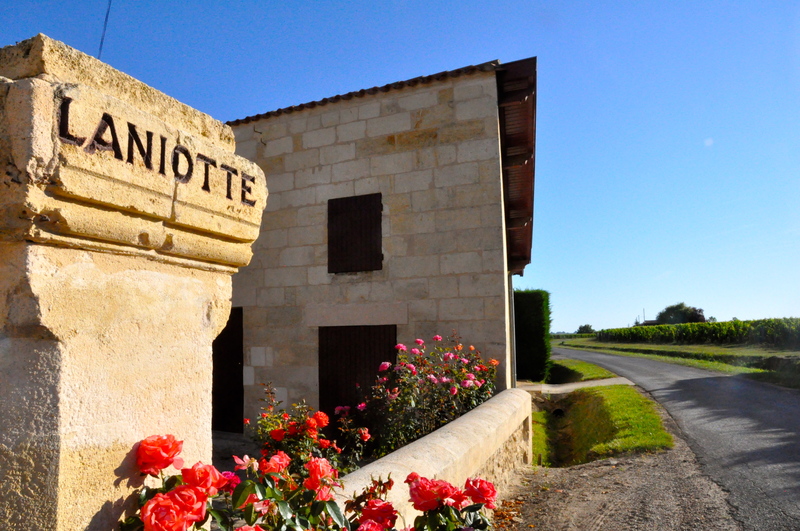 We stared out at Laniotte, which is family owned. The man who runs it is actually a baron. However, you wouldn’t know from his humorous personality. One thing that was interesting to me was that these small wineries only produced one wine. 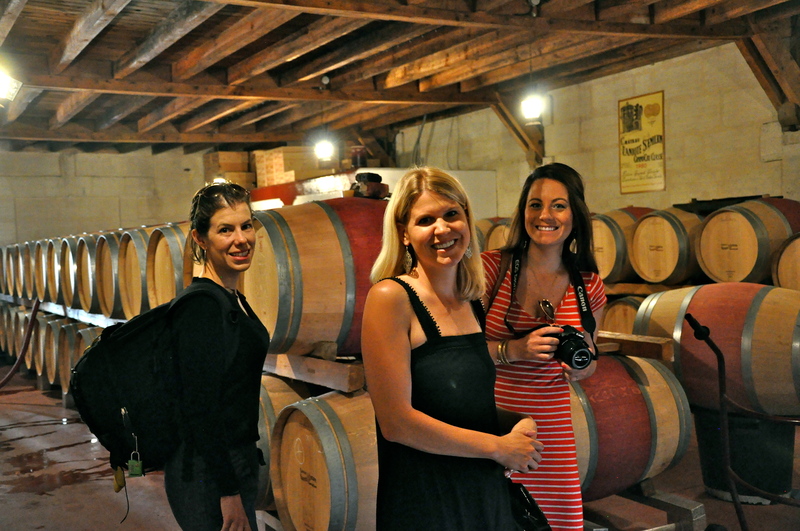 In the US, one winery might have a Cabernet Sauvignon, a Merlot, and a variety of whites. Not here….they made one. And the classification is very important. 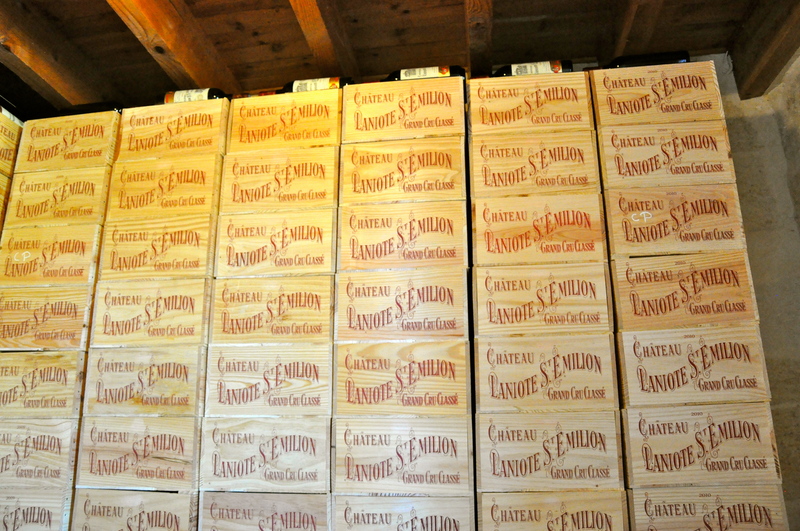 At this winery, their product is a “Grand Cru”. 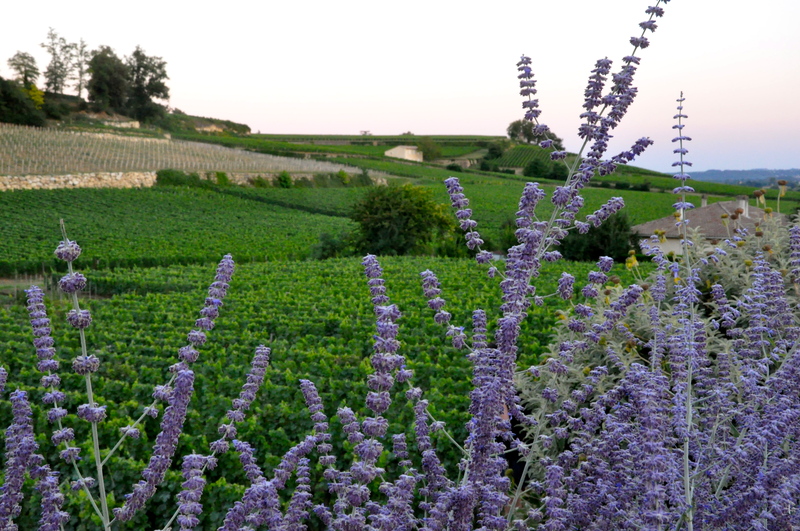 We had learned about cru designations when we went tasting in Burgundy last Fall. 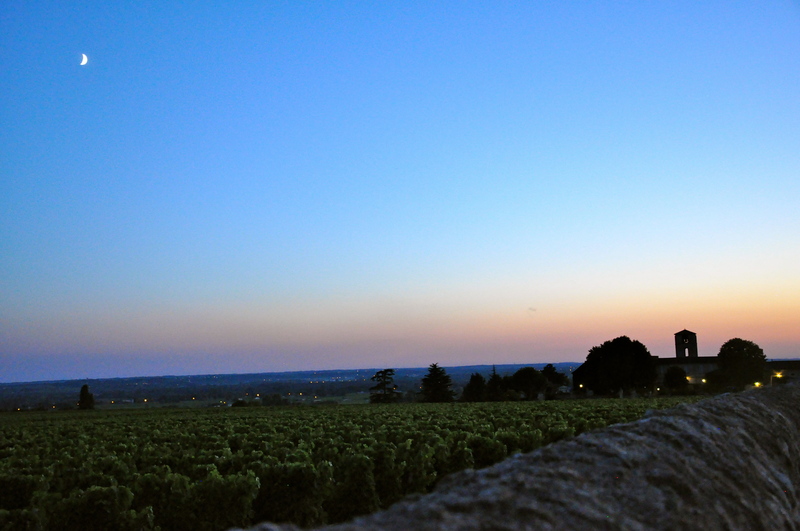 In that region, they were given the designation: Grand Cru, Premier Cru, Village level, or Regional AOC. 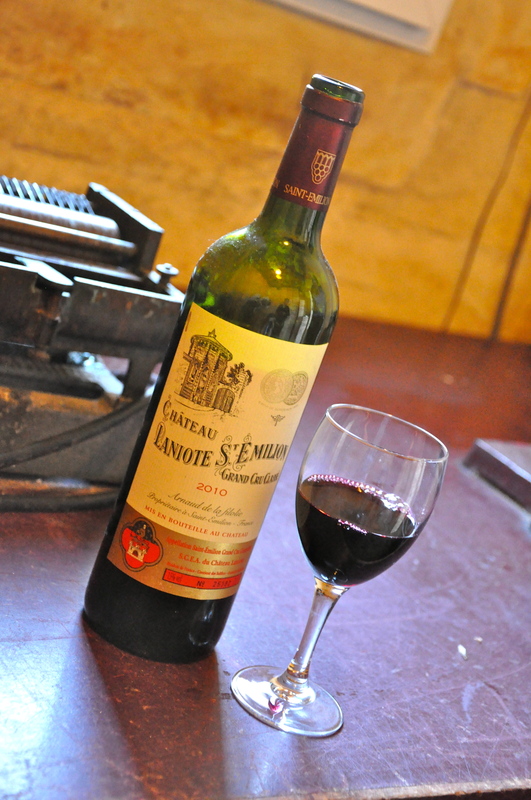 However, here in Saint Émilion, the best was Premier Grand Cru, and the next was Grand Cru. Still different nomenclature from Burgundy. Confusing, huh? The owner’s wife was a chemist. She explained to us how they sometimes used the pure juice from the vats. However, sometimes the pressed grape juice was added. It just depended on the year, and what the wine “needed” in order to reach its best formulation. This winery produces 60,000 bottles a year. Not bad. At the time, they were racking. 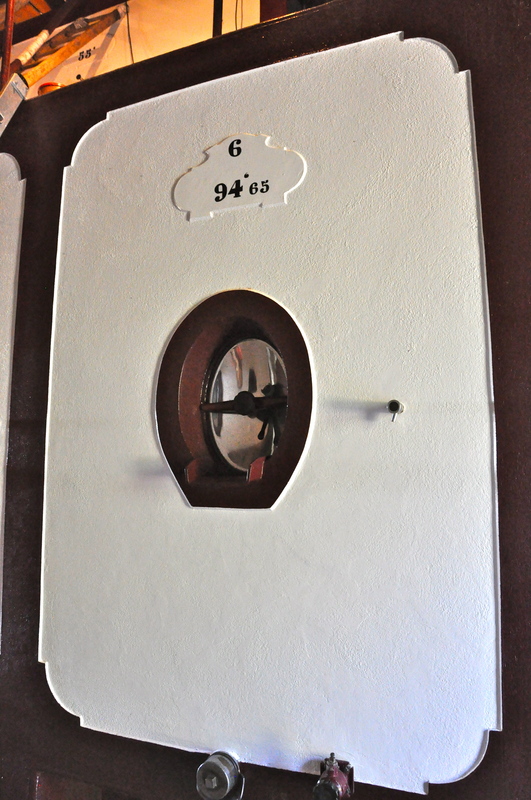 Racking is the process of moving a barrel of wine into another barrel. 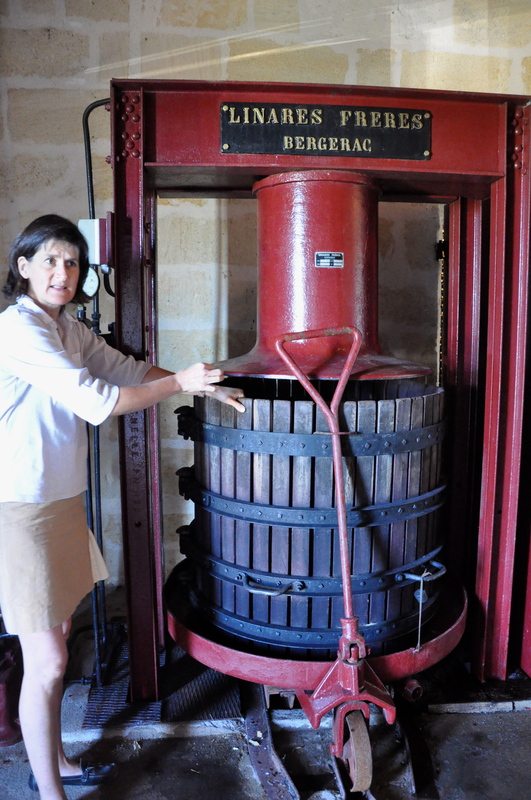 I am familiar with wine tanks which were used in the fermentation process. However, most of the time, I had seen stainless steel. This was the first concrete one I had seen. The winemakers said concrete helps retain the temperature more constant. Our tasting. More like a full glass. Very nice for a bottle that retails for 32 euros. We enjoyed meeting the family and tasting their product. Enjoying our taste. Mind you, this is 9am. 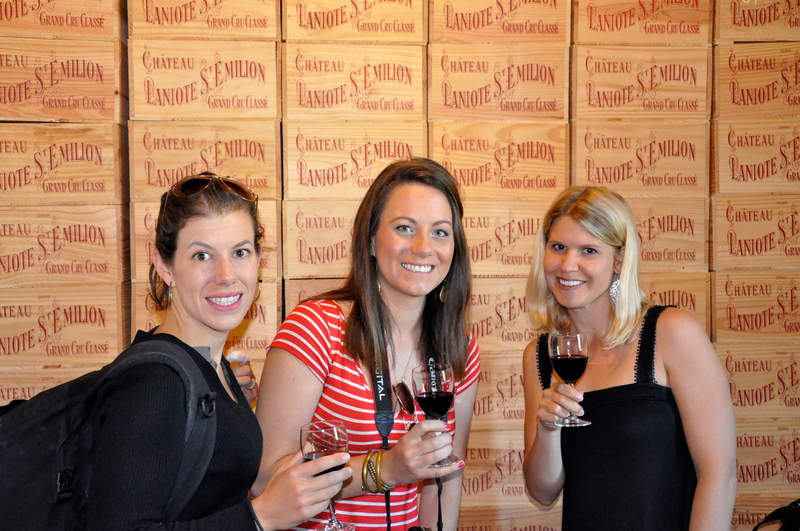 While tasting, we asked if we could explore the vines. We had noticed that the vines in this region are more squarely pruned. It is hard to tell from this photo, but they looked more manicured compared to those I had seen. Terraces at dusk. Aren’t they well “manicured”? This entry was posted in Food, Wine & Beer, Summer, Travel: Europe. Bookmark the permalink.